Volunteer Nelson has organised for premium not for profit training provider, Exult to do a half day training session on ‘Growing Great Volunteer Teams’. This will be followed by a tasty lunch and a chance to network and chat. This event is subsidised by Volunteer Nelson meaning a 4 hour training and a delicious lunch for only $20!! We really want to bring you together around this key topic and at the same time, celebrate the good work that managers of volunteers do. discover simple strategies for ensuring your volunteers get what they need to stay involved. > If your organisation is ready for volunteers. > What things do you need to have in place before you start recruiting? > How to ensure your organisation offers a good fit for volunteers. > Is there more than one model of volunteering and should you even care? > What do different generations expect from their volunteer experience? > The difference between recognition and appreciation. > What do volunteers really need and how can you give it to them effectively? > How to grow a positive environment for your whole team. Kerri Tilby-Price has been involved with the community sector for 20 years and knows first-hand the challenges faced by those working in non-profit organisations – prioritising workloads, stretching resources, putting out fires and being both people focussed and task focussed at the same time! 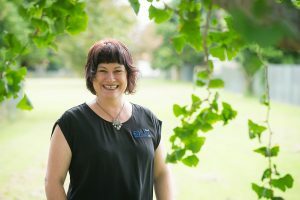 Kerri regularly facilitates workshops for organisations right around the country and is considered one of New Zealand’s most sought after speakers for the community sector. She is a Member of the Fundraising Institute of NZ and the NZ Association of Training and Development. Her workshops are always fun, practical and designed to make a difference. Are you willing to car share?